MyCODEHost Review 2019: Is MyCODEHost a Good Hosting? Web hosting and cloud services vendor MyCODEHost was founded in 2016. The company has grown its hosting solutions and improved its capacity to handle the hosting demands of businesses of all sizes in the United States. Established in 2016, in just under two years MyCODEHost has grown significantly as a hosting vendor that also offers system administration management and development management packages. Although headquartered in Orlando, U.S.A., this company has extended its hosting solutions outside the U.S.
All of MyCODEHost’s servers are housed in data centers located in the U.S. and the Netherlands. These servers are PCI compliant, are equipped with fully managed firewalls, and use the latest encryption technology to guarantee high server security. MyCODEHost shared servers use Cloudflare’s CDN, a content delivery network that allows you to increase your page browsing speeds and the general performance of your website. 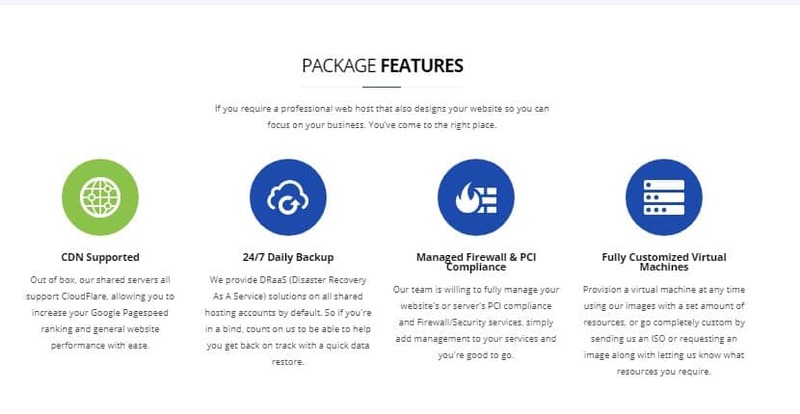 All shared hosting services are provided with disaster recovery as a service (DRaaS) solutions for quick data recovery. While this company says that they retain clients’ backed up data for a time, they do not specify how long this time is or how many restore points are included. MyCODEHost’s website is not the best I’ve seen, especially the seemingly generic service pages. While MyCODEHost claims to offer cheap web hosting solutions, only their shared and VPS hosting prices seem fairly priced. Compared to other vendors in the U.S. and the Netherlands, their dedicated server plans are expensive. MyCODEHost offers 99.99% uptime guarantee with a compensation plan if the servers experience unplanned downtime. MyCODEHost offers free unlimited email solutions for all their hosting plans, except the starter hosting packages. This vendor also offers a 30 days money back guarantee for all their hosting solutions. You can reach the MyCODEHost support team 24/7 by telephone, ticket, email, live chat, or social media channels such as Facebook and Twitter. Response times range from just two minutes (live chat), through ten minutes (telephone), to under an hour (ticket). For those who like to support themselves, I found the online knowledge base to be a little lacking when it comes to video tutorials (because there are none). Given how short a time this vendor has been in the hosting business, the apparent growth they have recorded is noteworthy. It would be no surprise if – in a few years – they make their services available in more countries across North America and Europe. Wondering how MyCODEHost stacks up against other Web Hosting companies? Enter any other Web Hosting company and we will give you a side-by-side comparison.